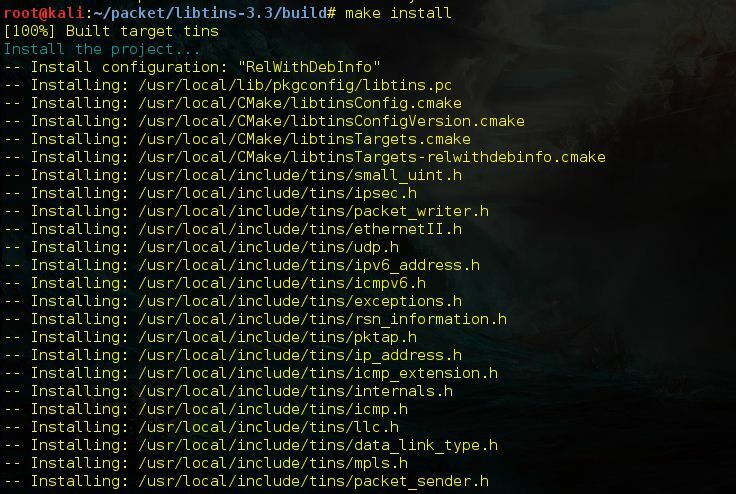 Browse: Home / Libtins v-3.3 : a high-level, multiplatform C++ network packet sniffing and crafting library. 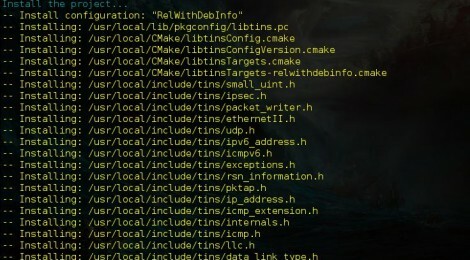 libtins is a high-level, multiplatform C++ library for crafting, sending, sniffing and interpreting raw network packets. The different objects in a packet as represented on libtins. – Packet sniffing and automatic packet interpretation. – Reading and writing PCAP files. – Following and reassembling TCP streams on the fly. – Decrypting WEP and WPA2(TKIP and CCMP) encrypted 802.11 data frames on the fly and interpreting the decrypted content. ← Guinevere – Automated Security Assessment Reporting Tool.